Another pretty face. 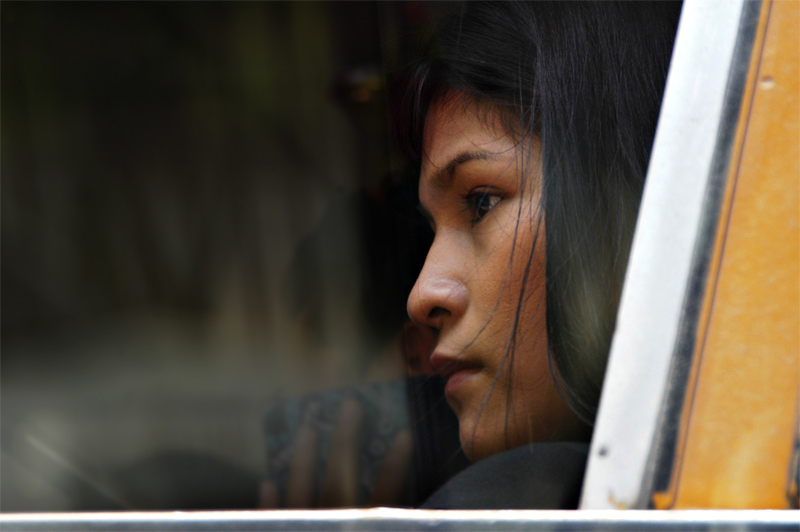 This woman was inside a public passenger bus when I took her picture. i was inside a private car. Both the bus and our car were stalled in traffic.